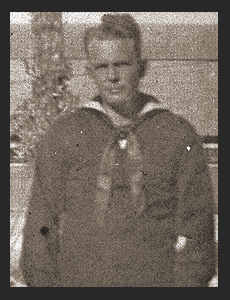 MMG 3/c Paul A. Foley, son of Mrs. Cora Foley, attended Manitou High School; husband of the former Trueseal McClain. Entered Navy in 1944, trained in San Diego, Cal. ; served in the Admiralties, New Guinea, and Australia. Awarded Asiatic Pacific Ribbon, Victory Ribbon.